Tessa is a Partner who specialises in succession planning, the preparation of Wills and the administration of Trusts and Estates. Have you been affected by Universal Asset Protection Ltd? Tessa became a Partner in May 2017 after joining Leathes Prior as a trainee solicitor in 2008 and qualifying with the firm in 2010. With her strong technical ability and reassuring manner, Tessa provides complex advice in a straightforward way. Clients find her extremely approachable and efficient. Tessa advises on all areas of lifetime planning including the preparation of Wills and Trusts, assisting with inheritance tax planning and Lasting Powers of Attorney. She also deals with after death matters including the administration of Estates, Grants of Probate and Deeds of Variation. Tessa is a full member of the Society of Trust and Estate Practitioners (STEP) which is a best practice association for advisors dealing with Wills and Estate planning. She is currently the Chair of the Norwich & Norfolk STEP branch. 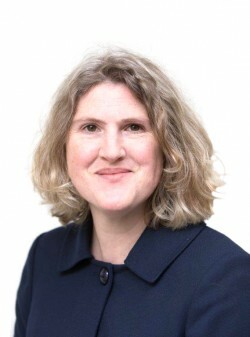 Tessa is also a Full Accredited Member of Solicitors for the Elderly (SFE) which is an association of lawyers who specialise in legal services for the elderly.